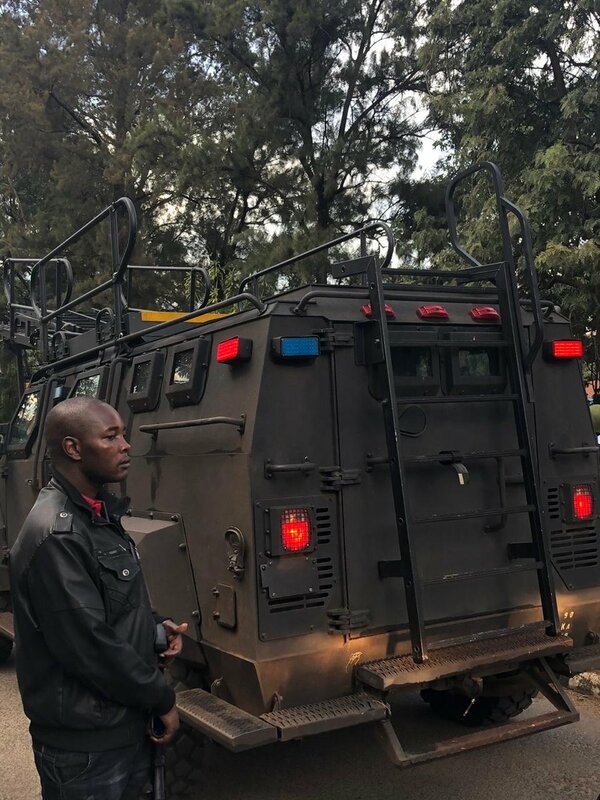 Inspector General of Police Joseph Boinnet has released a statement about the state of affairs at the Dusit Hotel in 14 Riverside Drive which is currently under a terror attack. The police boss confirmed that indeed there are gunmen inside the hotel and the security forces are trying to flush them out in the shortest time possible. Security and emergency services responded quickly to the incident and the situation is being managed. We wish to offer our prayers to those who are affected and we wish quick recovery to those injured. We are aware that there could still be some armed criminals still hold up in the building and our special forces are engaged in that operation to flash them out. The Dusit attack started at around 3 PM after armed gunmen forced their way into the hotel, bombed cars and started shooting haphazardly. Several people are reportedly still trapped inside the building. At least 10 people are injured and have been rushed to different hospitals in Nairobi. DCI boss George Kinoti is at the scene and coordinating evacuations. The MP Shah Hospital and Avenue Hospital in Parklands have appealed to the public to donate blood to the victims. Somali Terror Group Al Shabab has taken responsibility for the attack.